4. 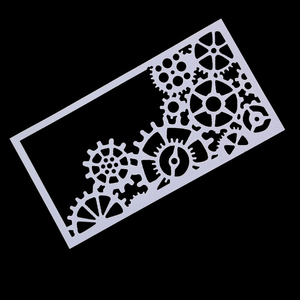 OEM case are welcome, we can also design according to your requirement. CangNan Zion Plastic Products Factory is a collection research and development, production, sales as one of professional production enterprises. 3.Q: Where is your factory located9 How can I visit there9 A: Our factory is located in yiwu. 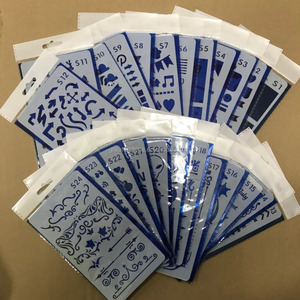 Plastic drawing template/stencil washable template, these carefully designed templates let children use scope, expanded use of children can enjoy crayons to portray. 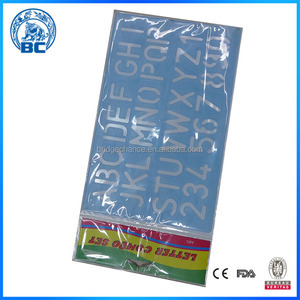 Due to the template is washable so that optional above using pigment daubm can make graphics good reserves on paper. 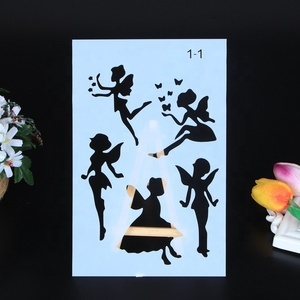 Size 12.8x12.8cm Thickness 0.7mm Packing opp bag ,ahesive sticker and color paper as uaual Material PP Function promotion,advertising,gift,education Delivery date 20-30days Type of payment L/C T/T 30%TT in advance N.W and G.W. 2 YRS Shanghai Fule Technology Co., Ltd. Customized samples charges depending on your designs, will be refunded back if order placed to a certain quantity. 2 Q : Should I pay extra for logo printing9 A : Yes, according to the actual situation. 5 Q : How much for 1pc sample9 A : According to the product, please let us know the item number. 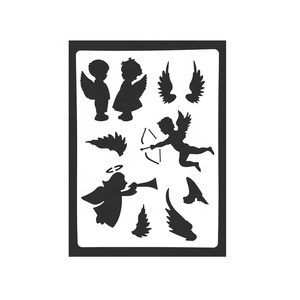 Alibaba.com offers 1,696 painting template products. About 20% of these are stencils, 2% are rulers, and 1% are painting & calligraphy. 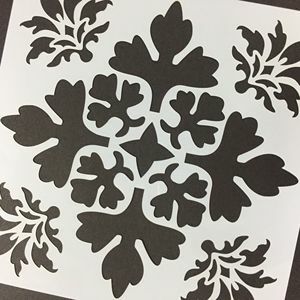 A wide variety of painting template options are available to you, such as free samples, paid samples. 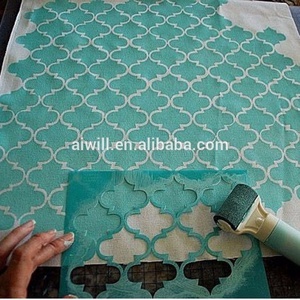 There are 1,696 painting template suppliers, mainly located in Asia. 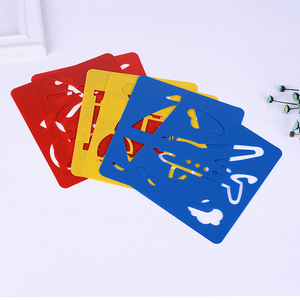 The top supplying country is China (Mainland), which supply 100% of painting template respectively. 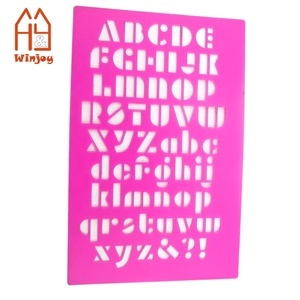 Painting template products are most popular in North America, Western Europe, and Domestic Market. You can ensure product safety by selecting from certified suppliers, including 515 with Other, 323 with ISO9001, and 77 with ISO14001 certification.